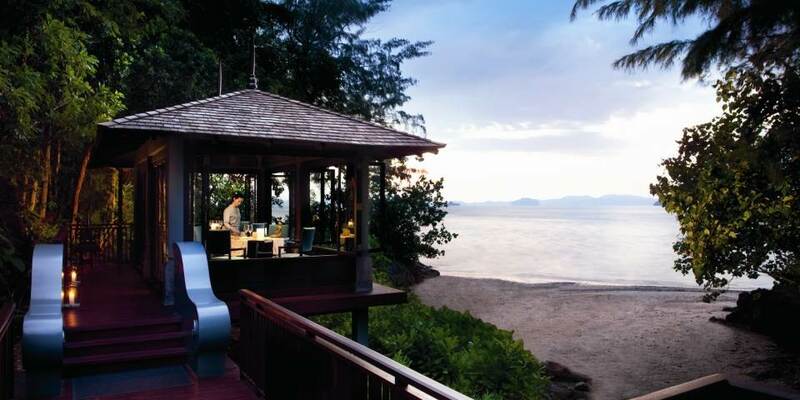 800 Kilometres south of Bangkok, but only 35 minutes from Krabi International airport and 2 hours from Phuket, Phulay Bay is a luxury resort set in the remote and beautiful region of Krabi .The ultimate way in which to arrive is with a 20 minute private helicopter journey of a lifetime, flying over the Andaman Sea with the limestone karsts which help to make Krabi one of the most photogenic places in Thailand. The staff or “service providers” at Phulay Bay will delight in putting together once in a lifetime experiences for guests, whether it be trekking on the back of an elephant through lush jungle, taking a jungle walk to the top of Naga Mountain to take in the panoramic view over Poda, Phi Phi and other islands in the Andaman Sea, or trying out kayaking in the North of Krabi through the dramatic Tham lod cave with its spectacular stalactites and stalagmites. Tuk tuks are available for sightseeing nearby while speedboats may be used for deep sea diving trips. Guests may just prefer to work out in the fitness studio, relax in the beautiful infinity pool or visit the haven that is ESPA at Phulay Bay. Complete with 11 treatment rooms, aromatherapy steam rooms, saunas, relaxation rooms and outdoor vitality pools it is a place for relaxation, rejuvenation and renewal. Products are made from the highest quality ingredients; treatments have a holistic approach and combine the very best of ancient and modern therapies. 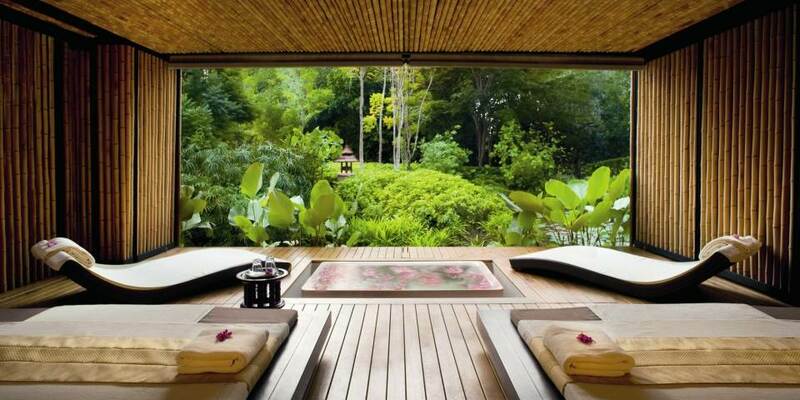 Yoga, Pilates and meditation may be enjoyed in the open air or in the Wellness studio overlooking the lush jungle. 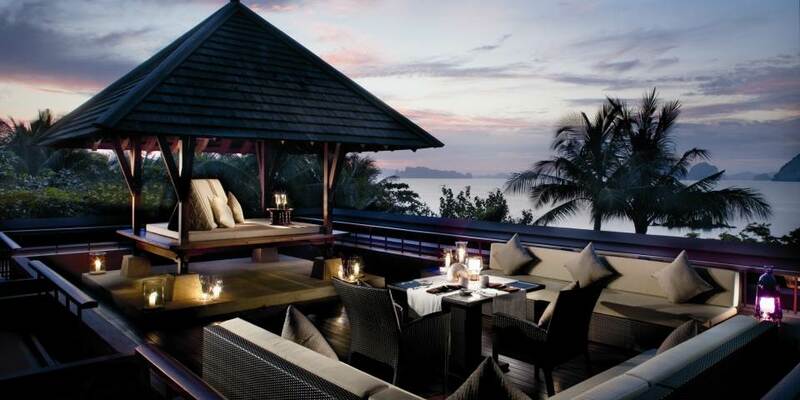 The 54 spacious Pavilions and Villas are scattered around the resort. 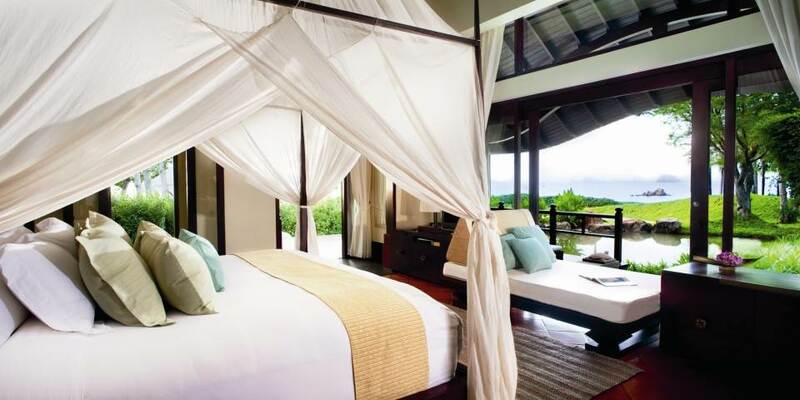 Each is luxuriously appointed with walk in wardrobes, rainforest showers, enormous baths and lovely Verandah furnished with lounge beds, perfect for relaxation. Ocean Pavilions have indoor/outdoor bath facilities and a sundeck which overlooks the sea, while Reserve Pavilions offer a private tropical garden view. 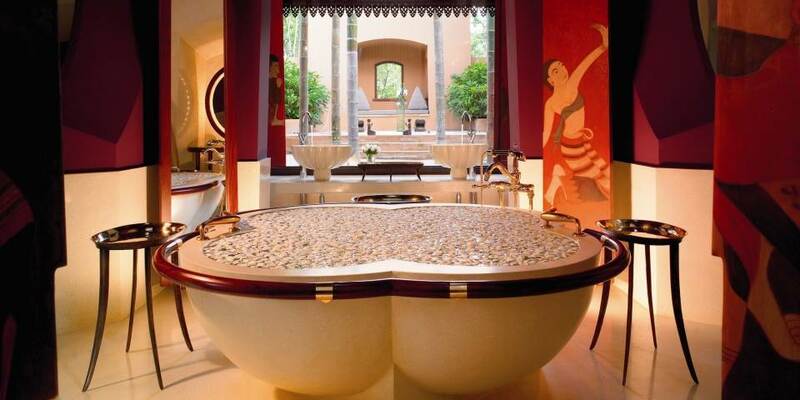 Located at the seafront the Beach Villas have all the same amenities with the added benefit of a Jacuzzi. The larger Reserve Pool Villas enjoy 106 square metres of indoor space, exclusive privacy, private pools and gardens, some also benefit from a sea view. The Royal Beach Villas all have not only sea views but also the luxury of infinity pools with hydro jets. 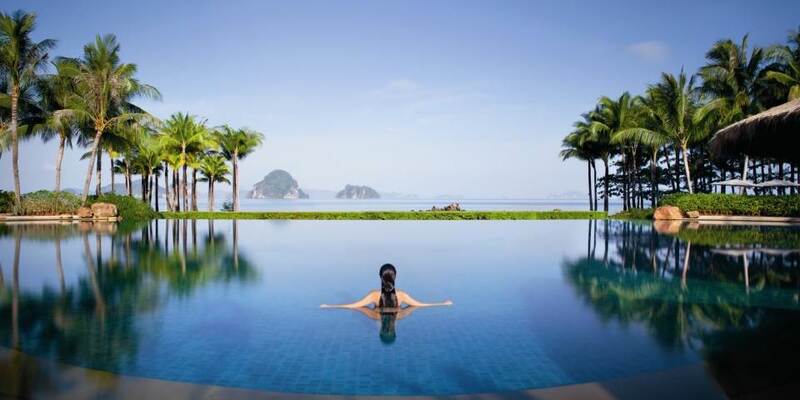 For those who want to truly indulge, the Royal Andaman Sea Villa is the ultimate with luxurious accommodation, Verandah and private infinity pools.